A magnitude 7.8 earthquake struck Indonesia at 12:50 pm GMT on March 2, triggering warnings of a tsunami in the island nation, as well as in Australia. The warnings were later withdrawn. Australia’s Bureau of Meteorology issued warnings in Cocos Island, Christmas Island and Western Australia. “Evacuations from communities are not required but people are advised to get out of water and move away from the edge of beaches, harbours, marinas, coastal estuaries and rock platforms. Boats in shallow coast water, harbours and estuaries should return to shore. Vessels already at sea should stay offshore in water atleast 25 metres deep,” it said. Indonesia’s Meteorological, Climatology and Geophysics Council (BMKG) also issued warnings for West Sumatra, North Sumatra and Aceh. 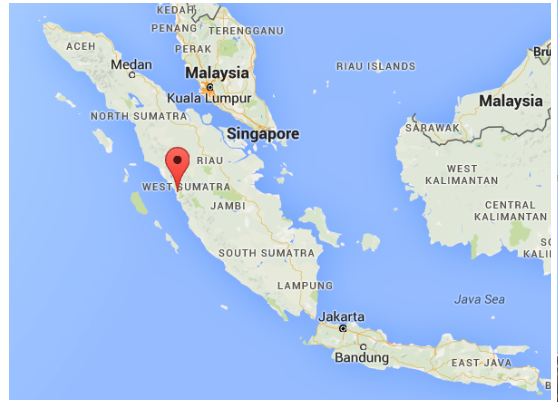 The epicentre of the 24 km deep quake was 808 km from Pariaman in west Sumatra, the US Geological Survey said. A magnitude 5.1 aftershock was also felt at 3:12 pm GMT. The earthquake falls in the shallow category (0-70 km), raising speculations that the damage to life and property could be significant. This had prompted the tsunami warnings, which were later withdrawn. “The results of the observational record of sea surface in Padang and Cocos Island, Australia recorded a sea level rise of 5 cm and 10 cm respectively. Therefore it can be concluded that the earthquake did not pose a significant tsunami threat and the National Weather Service has ended the tsunami warning at 22:32 hours (Jakarta time) for the entire territory of Indonesia,” BMKG said. An archipelago spread across 17,500 islands, Indonesia sits between the Pacific Ring of Fire and the Alpide belt, the world’s first and second most seismically active regions respectively. Being sandwiched between such seismicity means that the islands experience some of the strongest earthquakes and most powerful volcanic eruptions on Earth. On December 26, 2004, a 9.1 magnitude earthquake in the region had triggered a devastating tsunami that had killed more than 2,30,000 people in more than a dozen countries.